Fleas are most often seen during the warmer months but as we live in the wet tropics, we see fleas all year round! 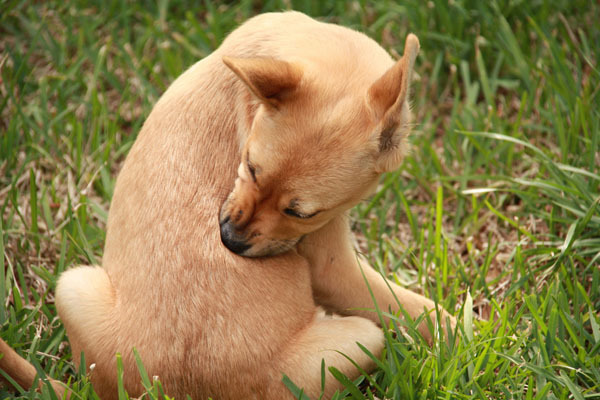 Only a small part of the adult flea population actually lives on your pet. 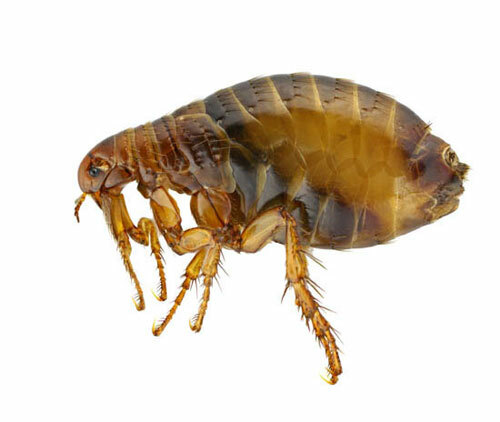 The fleas’ eggs and larvae live in the environment and can survive for up to a year, so it is important to not only treat your animal directly for fleas but also decontaminate the environment as well. Wash your pet’s bedding using the hottest cycle and regularly vacuum/clean carpets. 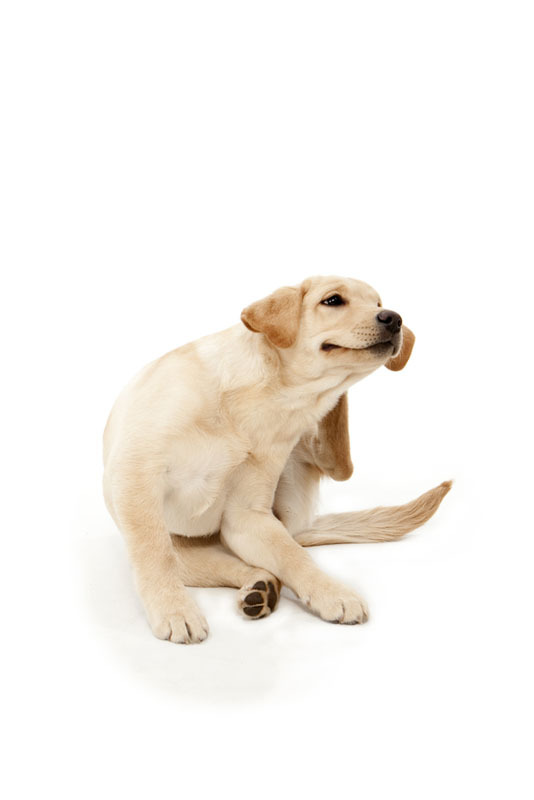 We do not recommend flea collars or flea shampoos alone as they fail to address the environmental flea infestation. Bravecto: A 3 monthly flea and tick chew for dogs. Seresto collar: flea and tick collar- changed every 8 months for cats and dogs. Only registered for dogs for paralysis tick prevention. If you notice a tick on a pet that is not displaying signs of tick paralysis, remove the tick straight away.To do this, grasp the tick firmly where it attaches to your pet’s skin and give a quick sideways pull. It is better not to try and kill the tick first as the dying tick may inject more of its potent toxin into your pet. If you are not confident removing the tick please call us immediately to make an appointment to have it removed. Once the tick is removed your pet should be kept cool and quiet whilst being closely monitored for 24 hours. 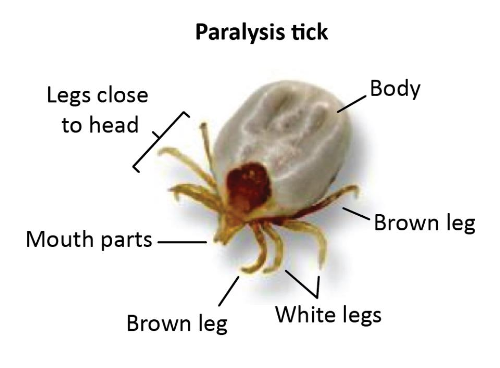 If your pet starts to display any signs of tick paralysis, such as vomiting, weakness, staggering, breathing difficulty, or altered bark/meow, seek immediate veterinary attention as this is a genuine veterinary emergency. If your pet is showing any of the above signs, do not offer food or water as these may be accidentally inhaled in tick-affected dogs. **Dectomax Injections (Doramectin): Based on reports from other veterinarians elsewhere in Australia and here in Cairns, we decided to trial this as a preventative measure for paralysis ticks over the past tick season. Overall, we have been unhappy with the results in dogs and are recommending other preventative options as a first choice. We do still think it may be a viable option in cats however (as there are such limited options for them) so please contact us today if you would like to know more about it.